Mini has now joined global automobile manufacturers developing plug-in hybrid options or their regular offerings. 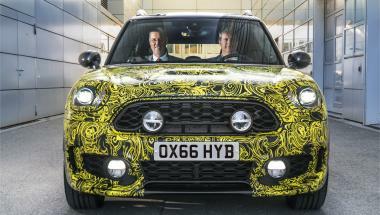 The British carmaker recently previewed its first plug-in hybrid model which looks to be based on the Countryman. Present at the unveiling were Sebastian Mackensen, global head of Mini, and Peter Wolf, head of MINI series management.